Day trading is the stock method of buying and selling a stock within a single day. If you’re planning on daytrading with stocks online, you will close out of a position before the market close in order to secure your profits. Also, you can enter and exit multiple trades within a single trading session. Day trading is done via trading strategies to capitalize on small price movements in high-liquidity currencies or stocks. By the end of this post, newbies will know some effective strategies to make a profitable trade. You’re not going to make any returns without a proper strategy. Without one, and you’re setting yourself up for failure while also missing out on good investment opportunities. Here are some strategies you should use to ensure that you’ll survive in today’s volatile stock market. As a first time trader, you should focus on one or two stocks a session. Finding opportunities is easier when you have a few stocks in your portfolio. Recently, it has been common for traders to utilize fractional shares. For example, let’s say a share in Disney is about $250 and you only want $50 worth. Some brokers will allow you to buy it at 1/5th of a share. Most beginner traders tend to look for low prices and deals, but avoid trading penny stocks. These stocks have low liquidity, and the chances that they’ll hit the jackpot is rare. Many stocks that are traded at $5 a share are only tradable through over the counter and aren’t on the major stock exchanges. Unless you notice a clear opportunity, and conducted research, it’s better to steer clear from them. First get used to the stock markets, get some experience first and then enter the penny stocks. Decide on what type of orders you want to use when you enter and exit trades. Do you want to use limit orders or market orders? When making a market order – it executes the trade when it’s at the best price available – thus, it doesn’t have a price guarantee. Limit orders only guarantee the price of the asset, not the execution. Also, limit orders help with precision, where you can set the price for buying and selling. More experienced day traders might employ the usage of options strategies to protect their assets as well. There will be times when the stock market will test your patience. When day trading with stocks, you need to know how to keep your fears, hope, and greed at bay. Make your decisions by logic and try not to let your emotions get the best of you. This is the most important lesson beginner traders can learn. 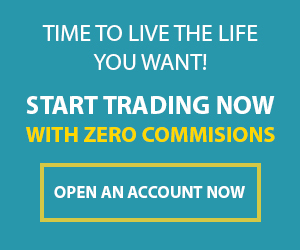 You need to adopt a system that allows you to trade regularly. Is day trading with stocks worth it if you’re going to be broke by the end of the month? Successful day traders don’t risk more than 1% of their trading account balance on one trade. For example, if you have $50,000 in your account, you’d only risk $500 in one trade. We suggest that you sit down with a calculator and gauge the numbers before you make a trade. Successful day traders move fast and think slow. Why? Because they’ve already made a trading strategy, and the discipline that’s needed to stick with it. You need to follow your formula closely instead of chasing for profits. Don’t let your emotional side get the best of you and forget about your strategy. There are may orders that are executed by traders and investors that are executed when the markets open, which contributes to the market’s overall price volatility. A veteran trader might be able to recognize patterns and capitalize off them to make profits. But for beginners, it might be a better idea to read the market without making moves the first 10-20 minutes. The middle hours tend to be less volatile, and the movement starts to pick up before the day ends. While the rush hours offer good investment opportunities, it’s safe for beginners to stay away from them at first. I suggest you read our post about how to recognise buying opportunities. Day trading requires a serious money and time investment. Chances are, you’re going to have to devote most of your day in order to be successful. Don’t consider daytrading with stocks if you don’t have the time to spare. This process requires a trader that can spot opportunities and track the markets. Moving quickly is key if you’re trying to be successful in day trading. Part of your day trading strategy will involve selecting a trading account. There is a multitude of accounts out there, but you need to discern the difference between them to see which one works best for your needs. Margin accounts allow you to borrow money from your online broker. This comes with the advantage of potentially boosting your profits, but you also run the risk of greater rules to follow and losses. If you plan on day trading with no minimum, this might not be the right option for you. Most brokerage firms allow you to make a minimum investment before you can start margin trading. You might also experience a margin call, where the broker will demand a greater deposit to cover the potential trade losses. Day trading with stocks using a cash account will allow for you to trade the capital within your account. This will limit your potential for profits, but it prevents you from losing more money in the long run. Support: Whatever strategy you use when day trading with stocks, you’re going to need assistance at some point. Look for online brokers with strong customer support and fast response times. Costs: The lower the commission rates and fees, the more viable the daytrading is. Active traders tend to trade often so minimizing these costs are vital. Leverage, Margin & Spreads: Since you’re day trading with stocks, you should seek for competitive spreads – you might also want low margins and certain leverages. Speed of execution: Because of the high amount of trades that you make in a day, the execution speed is important. This will help you get the price that you need when you need it. Regulatory compliance: Find out if your online broker is regulated. They are legally obliged to protect your stocks and assets. Even if you’ve never traded on the stock market before, you can still be successful. We’ve heard stories of traders who’ve made millions of dollars with only $1,000, but soon they’d hit the jackpots and master the stock markets. While these opportunities exist, your earnings will vary in reality. Making a living in daytrading with stocks will depend on your strategy, patience, and commitment. The real question is, does your strategy work? If you have the energy and time to invest in the stock market, chances are you’ll be fine.